We, Sahil Graphics, based at Ballabgarh, Faridabad, India an established Suppliers & Exporters of superior quality News Paper Printing Presses including Web offset printing machines from the heart of India. Our Product range consists Web Offset Printing Presses, web-printing machines, Coldset web offset presses, Reel offset press, Three Colour Satellite, Mono Unit, Four Hi Tower, Rotary offset, Reel Stand, Reel Rewinder, Newspaper printing presses etc. The success of a web offset press is mainly determined by the ease and efficiency with which it achieves production target. 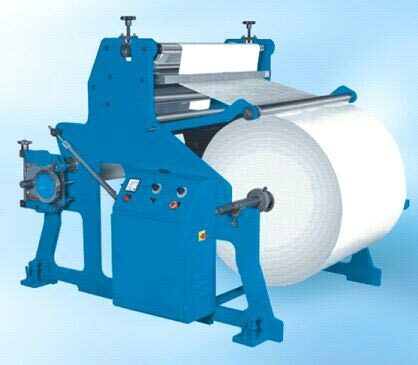 The usage of these machines results in lot of labour saving because you can get folded papers for the newspaper/book after printing on both sides of the web simultaneously. Sahil web machines are backed by unmatched expertise in machine building technology ensuring years of trouble-free and reliable services. 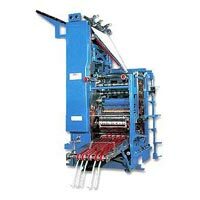 SAHIL web offset presses are designed on the similar pattern of GOSS community web offset machine. SAHIL range of web offset printing machines offers modular construction, simple up-gradation in current pressline and easy to operate & maintain. SAHIL web offset newspaper printing machines are ideal for printing single colour & multi colour Newspapers, Books, Magazines & Supplements etc. It takes care of multi colour printing with a wide range of modules that occupy very little space. It offers a combination of different print modules to meet a variety of needs. All in all, it offers sharp graphics quality and reduces wastage. 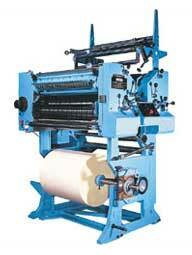 Newspaper Printing Machines are basically web offset presses constructed using high grade steel and cast iron. 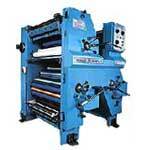 These web offset printing machines are also used to print magazines, books, newspapers etc. These web offset machines are used for high speed and superior quality multicolor offset printing. 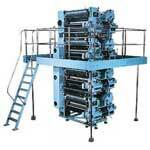 Web Offset printing machines are suitable for medium to high volume printing. Web Offset Printing Machines are a type of Rotary offset machines, providing high quality paper printing and capable of producing large volumes in a shorter time. 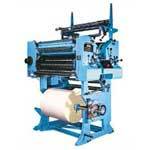 These web offset machines are faster and have a higher output rate as compared to sheet fed offset printing machines. The printing units in a web offset machine consists of two printing couples, having their own ink tray ducts, dampening rollers, plate cylinder, ink rollers and blanket cylinders. 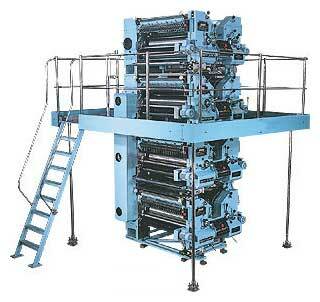 This is so, because this kind of web offset printing machines prints both sides of newspaper simultaneously. This process is also known as blanket-to-blanket printing. 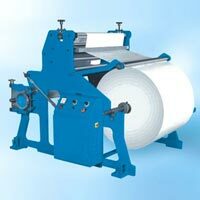 These web offset printing machines process paper rolls and can print both one side as well both sides of newspaper. Web offset printing machine is a form of offset printing in which a continuous roll of paper is fed through the printing press. Pages are separated and cutoff size after they have been printed on web offset press. Web offset printing machinery is used for high-volume publications such as mass-market production of books, magazines, Supplements & newspapers. Cold set Web offset printing (also known as non-heatset) is a web offset printing process in which ink is allowed to dry naturally through evaporation and absorption. In the alternative method, heatset Web offset printing, ink is dried rapidly by forced-air heating. Web offset printing is a printing process in which a continuous roll of paper is fed through an offset printing press.Cold-set Web offset printing presses are available from 20 inch to 22.75 inch wide range cut off sizes. This of course varies as large newspaper presses today are also mostly "cold-set." These web offset printing machines have been used mainly by the Newspaper printer to print newspapers & supplements, Book Publishers for magazines, School Books etc. Paper is delivered to the web offset printing press by the infeed section. The infeed section typically contains a roll stand to hold the paper rolls; a splicer which automatically splices the end of one web to the beginning of another, a web-steering device which controls the side register (side-to-side position) of the infeeding web; and a tension controller that maintains the proper tension on the web as it enters the web offset printing press.The delivery section of web offset printing machine can consist of a variety of devices, from a simple sheeter, which cuts the moving web into sheets of the required size, to a combination sheeter and folder, which can both fold the web into final signatures (group of pages). These folders are available in half page folder, Â¼ page folder, 1/8 page folder & double parallel folder.